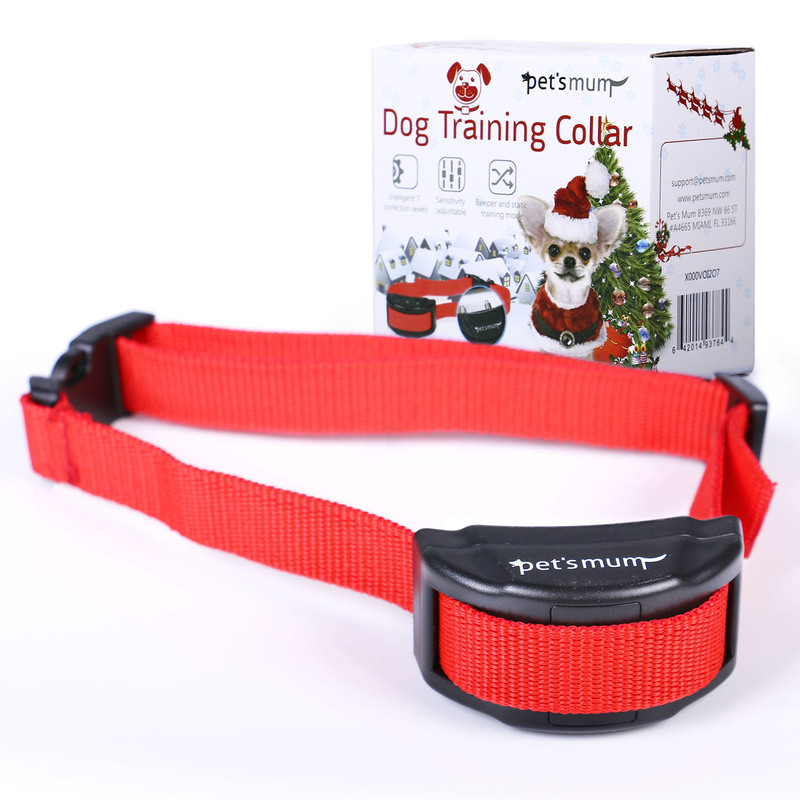 « Pet’s Mum Christmas Dog Collar! I just got this great bark collar from Pet’s Mum. This is a great device that can help to reduce the negative behavior of barking. It’s really well made. Comes with everything you need to install and use. Comes with a collar (or you can use it on your own collar), comes with bark controller and battery is included, and leads. The way it works, when it is on (you can adjust the setting to your desired level), if the dog begins to bark it will administer a small static shock and a beep to distract the dog, get it’s attention, and stop it from barking. We got this to use for our new dogs. We are trying to train them not to bark when we have company over. We only use it when needed and training. It works well. They notice the shock & beep and it stops the behavior quickly. Fits them well and works great. LAUNCH CELEBRATION : 25% OFF Coupon Code: PETMUM25. Get this beautiful CHRISTMAS GIFT PACKAGE item and STOP your dog’s insane barking in less then 3 days. CLICK ADD TO CART NOW! LIMITED TIME DISCOUNT. EASY TO USE & COST EFFECTIVE- Replaceable FREE 6 volt battery with Low Consumption. It is not a Rechargeable Battery. Pet’s Mum dog Training Collar is best for 10-120lbs Small, Medium and Large Dogs. If you use this shock collar for small dog under 10 pounds, please be careful and test from the lowest sensitivity level. SAFE, SECURE & HARMLESS- Advanced Microprocessor, Adjustable Sensitivity Control, Automatic Harmless Warning Sounds and 7 Level Static Shock With 2 training modes: beeper and static shock. DOG TRAINING E- BOOKS & ADJUSTABLE NYLON COLLAR from 6″ to 30″ for Small, Medium and Large Dogs. In Addition, Free E-Books will help you to stop dog’s insane barking and top 10 obedience problem in less than 3 days. MONEY BACK GUARANTEE AND WARRANTY: You Have Risk Free 30 Day 100% Money Back Guarantee By Amazon A to Z & Hassle Free 18 Months Warranty For Parts And Service! No Risk At All. Give Us a Try as You have nothing to loss. Your all questions will be answered within 8 hours. Our Average Response rate on Amazon less than 3 hours.